Our day today was topped off by an activity straight from my own bucket list: an evening at one of the major sumo wrestling tournaments. One thing is certain: the experience did not disappoint! While it is not terribly surprising that a night spent as a member of an excited crowd cheering on highly-trained athletes as they engage in battles of wills and brawn would be great fun, it is probably more surprising that the evening also amplified and deepened our understanding of the Shinto ideas and practices our group had studied earlier that day at the Meiji Shrine. 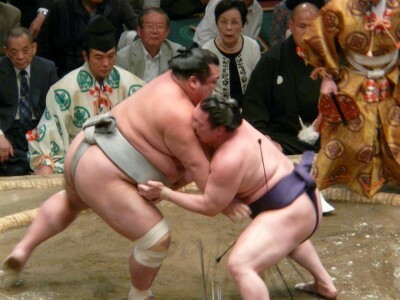 Sumo has been intimately tied to Shinto and Shinto ritual from the very beginning. According to the myths recorded in the ancient Record of Ancient Matters, it was a sumo match between two deities that decided which should rule Japan. 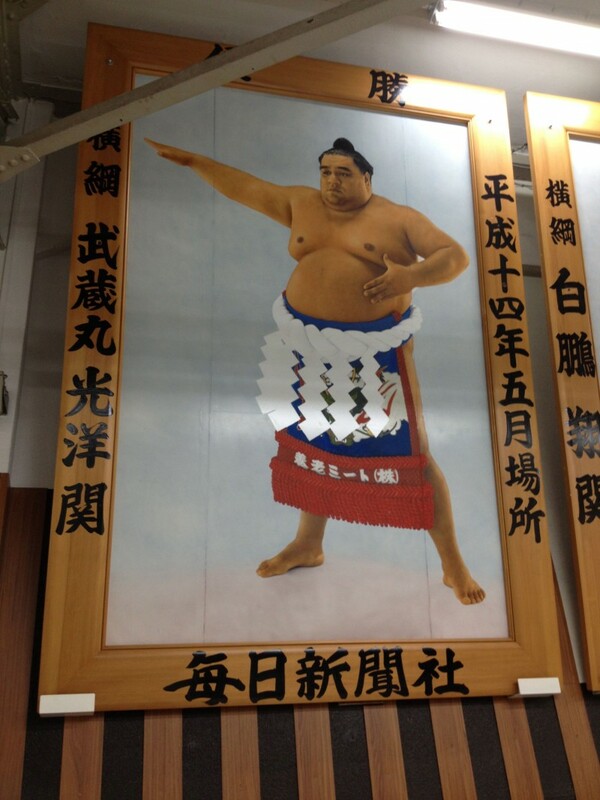 Human sumo matches, in turn, began to be held and dedicated to the kami at Shinto shrines as many as 1500 years ago. The sport continued through the Nara, Heian, Kamakura and Tokugawa periods – and came into the modern world with the support of the Meiji Emperor. 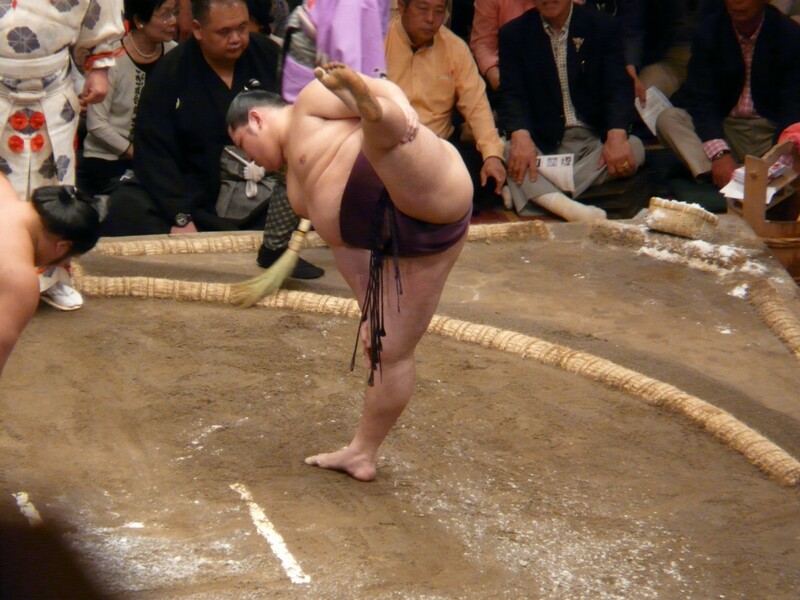 The many ways contemporary sumo still preserves – and is constituted by – this rich heritage was on display tonight. 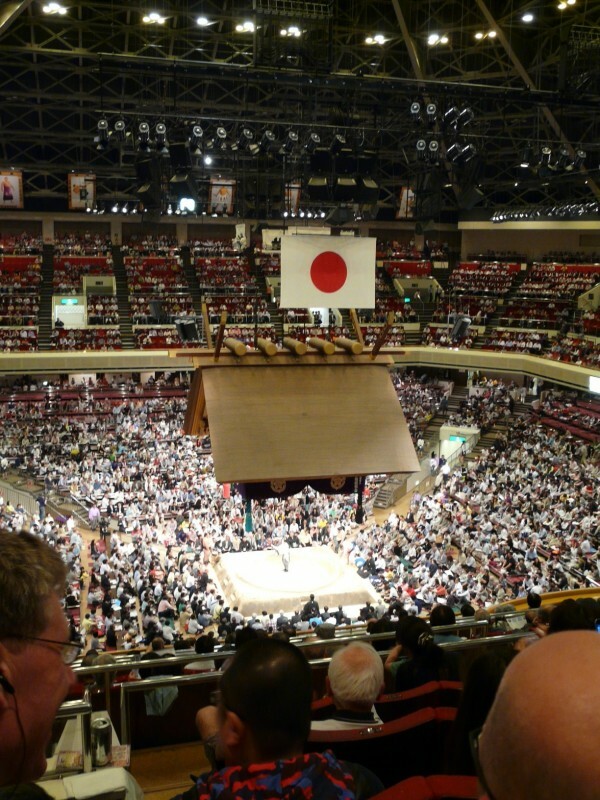 The bouts take place under a “Shinto-style” roof. Each match begins with now-familiar rituals: the wrestlers engage in an elaborate series of hand claps and leg stomps to alert the kami – and rinse their mouths and throw salt in the ring to purify themselves and the area. (We also clapped our hands and rinsed our mouths at the Meiji Shrine. It was probably for the best that we did not also attempt to perform the leg stomps or throw salt as they do!) After the match, the winner expresses gratitude for the win and winnings through traditional gestures. Those wrestlers who have attained the highest levels of the sport (the yokuzuna) wear the rope and zigzagged paper that Shinto uses to mark things deserving of great awe, such as trees, rocks, and shrines. Fittingly, grand champions also perform their first ring-entering ceremony at the Meiji Shrine. Our morning guides at the Meiji Shrine characterized Shinto as “the way of Japanese life,” and highlighted its use of ritual to emphasize and appreciate the sacredness and unexplainable power of nature and life. It seems terrifically fitting that these incredible athletes should both participate in and be objects of such celebration! After yesterday’s crazy start, we finally all arrived in Japan last night at the International Christian University Dialogue House (guest house) and were greeted by gracious hosts and treated with awesome accommodations. We started out today with a special breakfast prepared for us, then travelled by bus, train, then bus to visit an elementary and a secondary school. At OIZUMI Elementary School (attached to Tokyo Gakugei University), our first requirement was to place our shoes in lockers and put on the slippers that were provided. This practice is an effort to keep the school floors clean. The slippers fit some better than others. 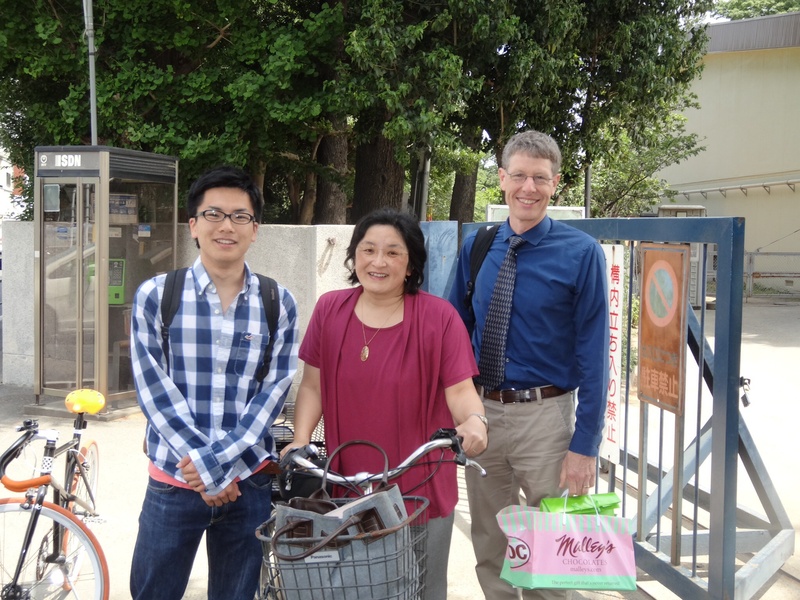 After David McConnell’s friend, Midori, and her son Tomo, joined us to help with the tours, we met with the Vice Principal, who shared with us the school’s mission, then proceeded to give us a tour of the school. 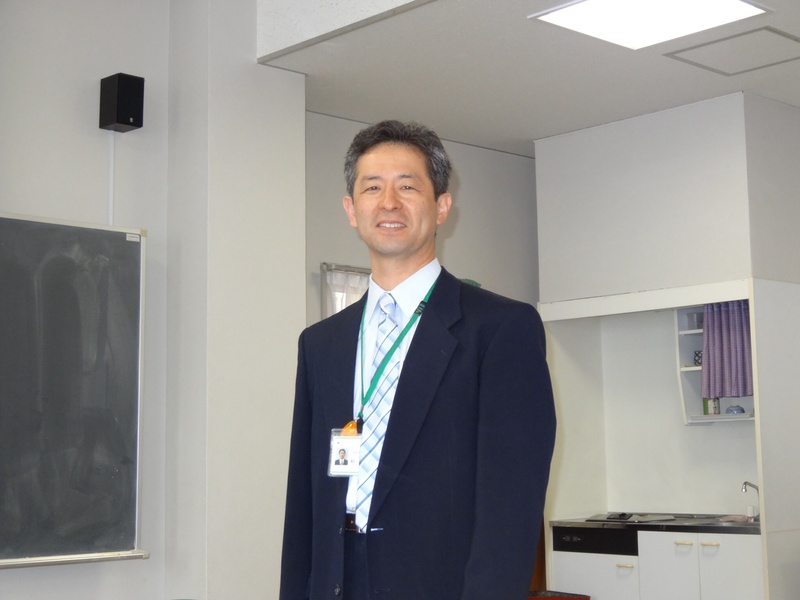 It was interesting how they integrated learning responsibility into the curriculum, such as gardening (caring for a chrysanthemum from seed to maturity each year), cleaning the school, and delivering school lunches to the classrooms. In addition, they intentionally create experiences for the children to teach them leadership skills, such as having multiage groups working together with the older students teaching and demonstrating proper ways to do things to the younger students and assigning leadership roles within each classroom for various tasks. We saw several classrooms of different types that were empty because some of the children were off on a field trip, which is apparently built into the curriculum on a regular basis to emphasize the values being taught at the school. 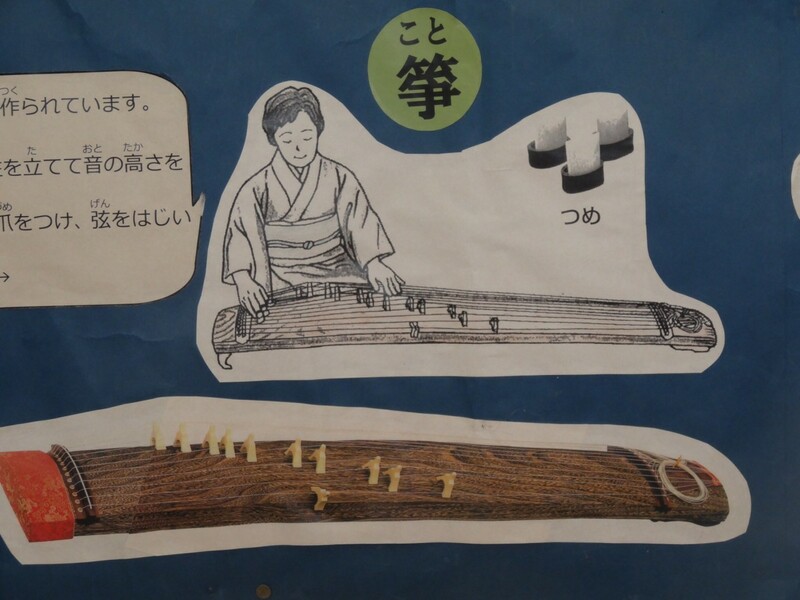 One of the classrooms that interested me was the music classroom with traditional Japanese instruments, called koto, in it. 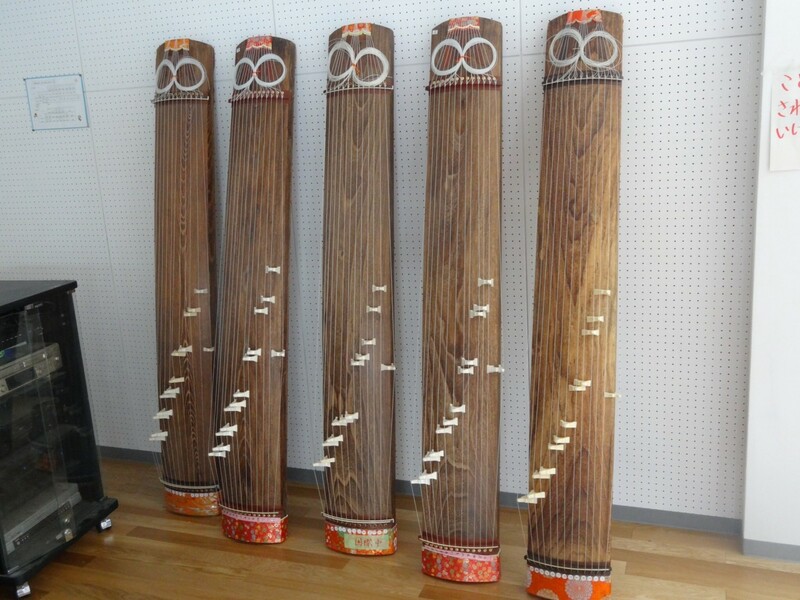 Students are taught how to play these instruments. I found a great poster on a bulletin board showing how they are played. We passed by several classrooms filled with wide-eyed, uniformed, curious, spirited children, but only observed in a couple of classes: the library and the science room. 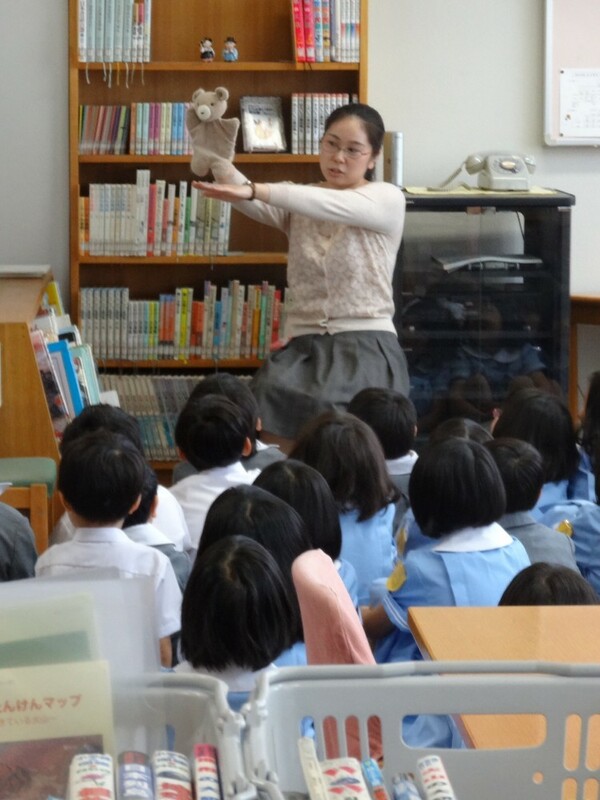 In the library, the students were enthralled by the animated librarian. 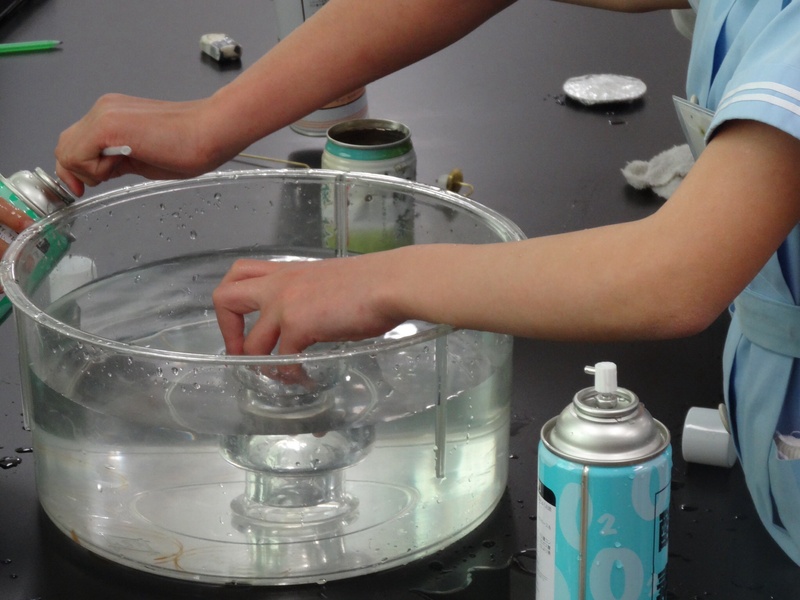 In the science room, they were very engaged with their Science experiments. 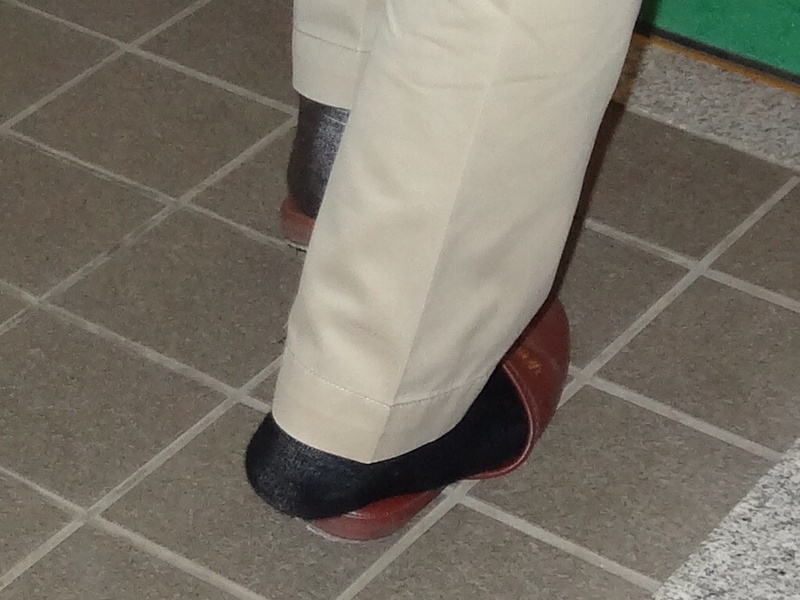 Then we headed over to the Tokyo Gakugei University International Secondary School high school, which did not require us to remove our shoes for most areas, except the library. We did have the opportunity to observe in several classrooms and the classes did not seem all that different from those in the United States, with no uniforms and classes similar in variety. 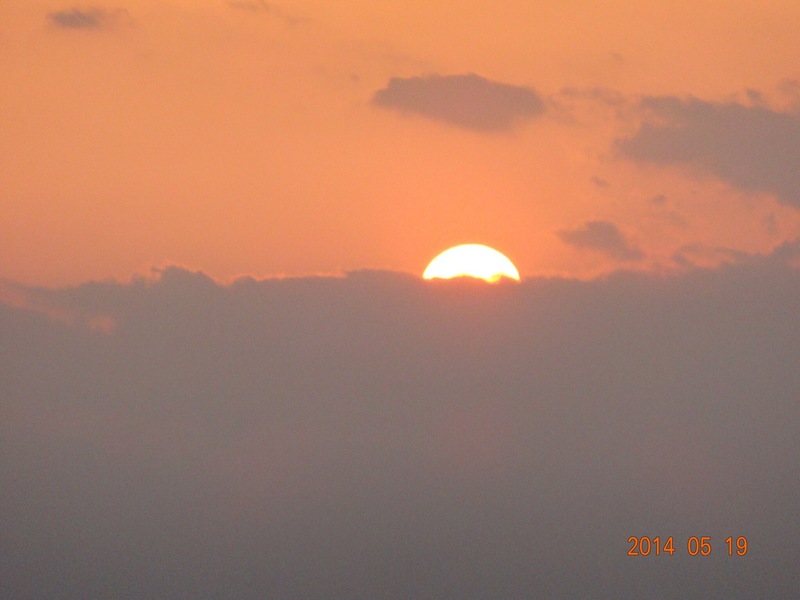 There were differences, however. There were several immersion classes taught in English, for instance, my group observed a Science class and a culture class being taught in English. The school had an International Baccalaureate affiliation for some of their curriculum. We had a long discussion with some of the teachers afterwards about the school, and apparantly, the school system we visited was affiliated with a teaching university to provide student teaching opportunities for students at the university. Also, the schools are a part of national school system, reporting to the national government, rather that to local prefecture school boards like the public schools. I could go on, but suffice it to say, we learned a lot about a couple very unique schools in Japan. At the end of the day, we attended a talk about promotion and tenure given by Heather Fitz-Gibbon to some faculty and administration to the International Christian University, then joined them for a delightful reception at the top of the Dialogue House, a spacious area with a view off the deck. Can’t get any better than that! After four and a half hours into our trip, we have moved from gate B4 to B3. Mechanical problems with the plane to Atlanta. Is this global engagement? The 2013-14 Hales Fund Faculty Study Group has been exploring the discourse and practice of interdependence in Japan. For over half a century, academic work on Japan has debated whether “Western” notions of self, individual, agency and autonomy have meaning in Japan. Though the most ardent promoters of a unique “group model” of Japanese society have, appropriately, come under attack in recent years, ethnographic studies continue to show that ideas of self in Japan are often inseparable from social relationships. But how exactly do Japanese think about themselves as members of groups? What are the historical and philosophical roots of cultural ideals such as harmony, empathy, and duty, and how have they been translated (or not) into actual practice? Our discussions have addressed how cognitive and cultural orientations towards interdependence find expression in a wide range of domains, including family and childrearing, education, scientific institutions, religion, literature, the arts, and interaction with the natural environment. We have addressed how Japan has achieved relatively high levels of social cohesion in some key areas and how Japan might serve as a mirror on American inclinations towards independence. At the same time, we have explored limitations of “collectivist” models and asked where sites of tension and conflict exist in Japan, as well as how recent changes within Japanese society, especially in the wake of the 3/11 nuclear disaster, are giving rise to new discourses about the relation between self, the state, and the scientific community. Our hope is that this study group will allow us to reflect upon broader issues of identity, culture, and community in a globalizing world through an in-depth examination of the historical and contemporary foundations of social order in Japan. 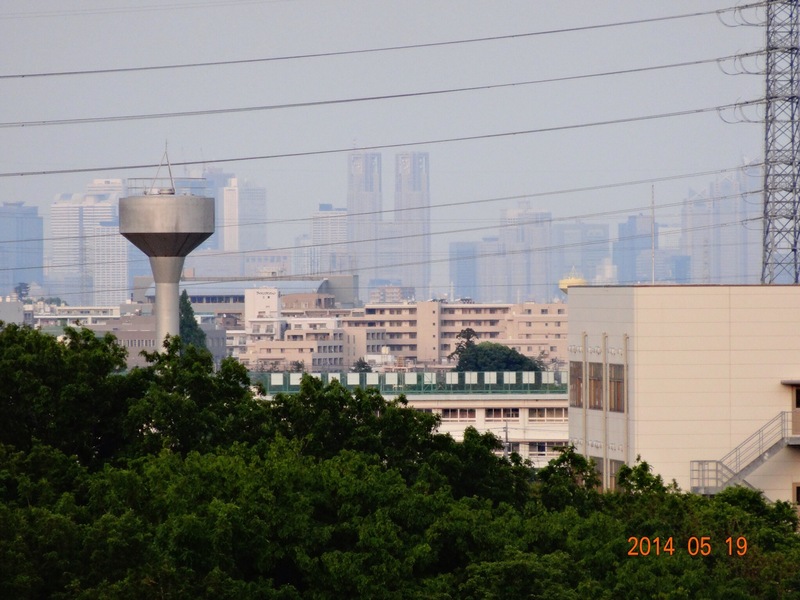 To explore these ideas further, the group departs on May 17th for travels to Tokyo, where we will be hosted by our GLCA Global Alliance partners at International Christian University, then proceed to Kyoto and Hiroshima. 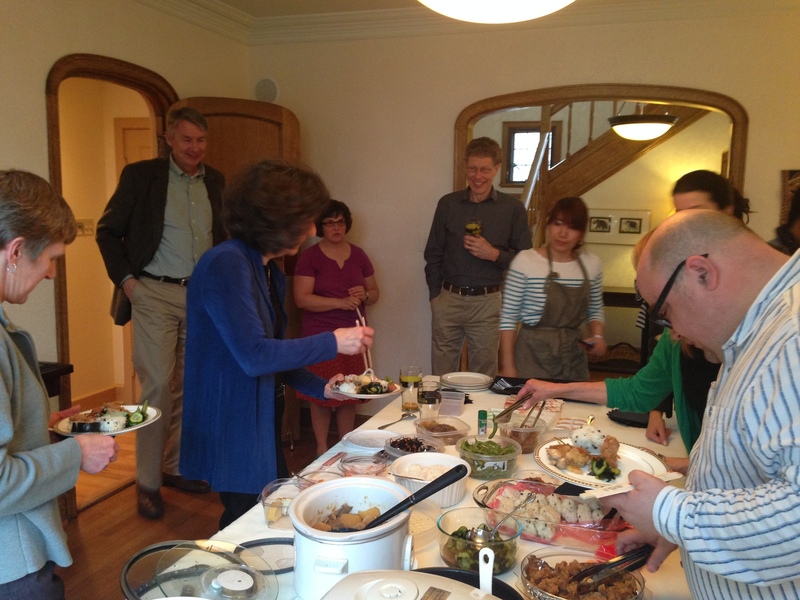 We were very lucky at our last meeting to be treated to an impressive spread of Japanese food, prepared expertly by Kris D’Atri and Sayaka Yates. What a wonderful introduction to the culture and foods of Japan! Weblog authors are solely responsible for the content and accuracy of their weblogs, including opinions they express, and the College of Wooster, disclaims any and all liability for that content, its accuracy, and opinions it may contain. 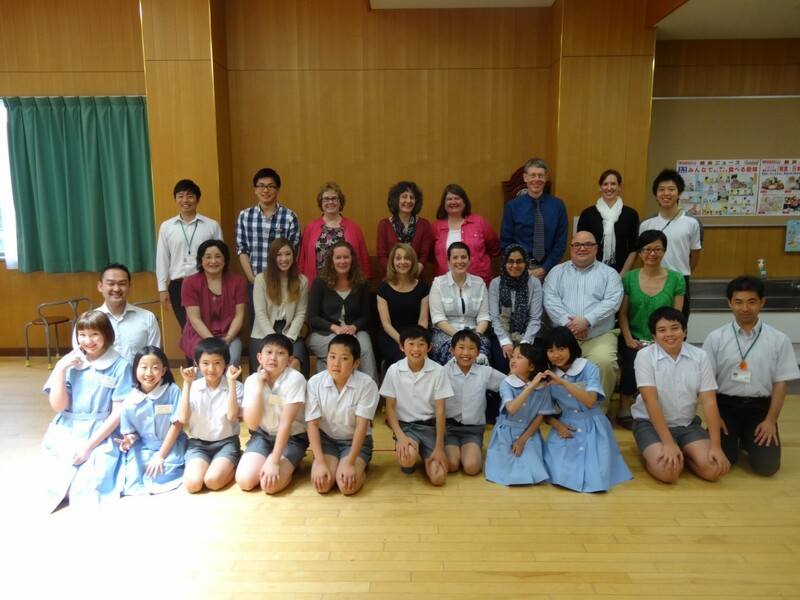 2014 Hales Expedition to Japan. © 2019 All rights reserved.